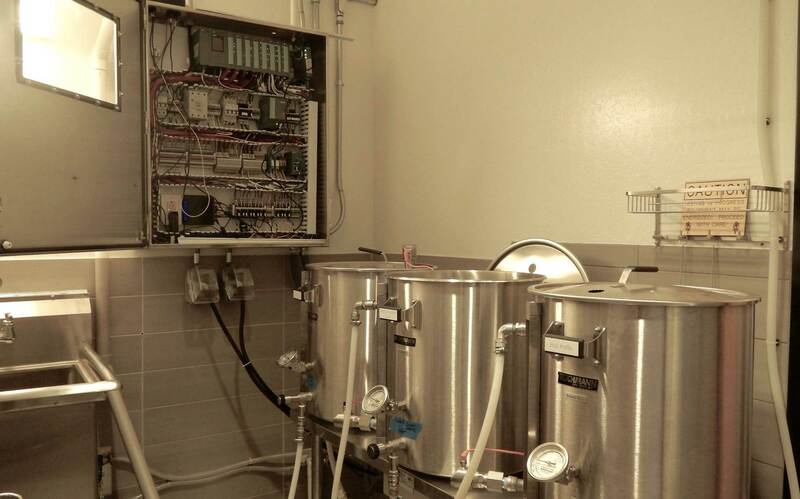 We are excited to announce that our in-house nano-brewery, “VerBrewHaus” is now operational! Our team finished up programming the Siemens S7-1500 processor and Inductive Automation Ignition HMI in late March, and we produced our first batch of beer a couple of weeks later. This was a true team effort with programmers, shop technicians, and admin team members all working together to make this possible. Several years ago we thought a shower room would be a great idea to add to our office during our remodel. Our office in Phoenix backs up to a beautiful desert preserve with miles of hiking and mountain biking trails. What better way to stay in shape than hike during a lunch break and then clean up before getting back to work? Apparently none of us were that interested in staying in shape, and the shower was never used. So we did what any normal person would do in that situation, we turned the shower room (and part of a janitor's closet) into a state of the art nano-brewery. It has already been used once which beats out the shower room! For the brewing geeks out there, the system is a three-kettle system with a hot liquor tank, mash/lauter tun, and a boil kettle. There is a wort cooler between the boil kettle and the fermenters. All liquid handling is fully automated throughout the system including fills, transfers, re-circulation, sparging, etc. using automated food grade pumps and valves. The system has two insulated conical fermenters with automated temperature control to maintain consistent fermenting temperatures, and there is a valve to transfer to a carboy fermenter if desired. The entire system is controlled with a Siemens S7-1500 PLC. This powerful processor is definitely overkill for this system, but it looks cool in the panel. Kettle temperatures and levels are used by the PLC to control temperature and fill volume as needed throughout the process. The VerBrewMeister can view all of the instrumentation and set temperature, volume, and time setpoints using a touch screen interface just outside of the picture above. The screens are developed on an Inductive Automation Ignition SCADA software platform. Eric Sahakian was our inaugural VerBrewMeister, and he chose a New England style pale ale for our first batch. The final product had a really nice citrus hops front end, but we had some off flavors on the back end that we’ll need to work out. While we may have a little work to do improving our craft, the equipment worked like a champ. Eric and others in the office are excited to try their hand at brewing a batch, and we’re excited to soon have our own beer for our ever-popular Programmer’s Pint internal technology seminars. A big thanks to Eric Sahakian, Anirudh Koka, Taylor Ketchum, Rob Sawicki, Marcos Martinez, Gus Rodriguez, Shawn Fitzpatrick, Sean Hallenbeck, and several others on our team that worked together to bring VerBrewHaus online. Thanks also to Siemens and Inductive Automation for providing the controls hardware and software to make the project possible. Stop by any time for a tour! This isn't just a fun office project, it's also our day job! 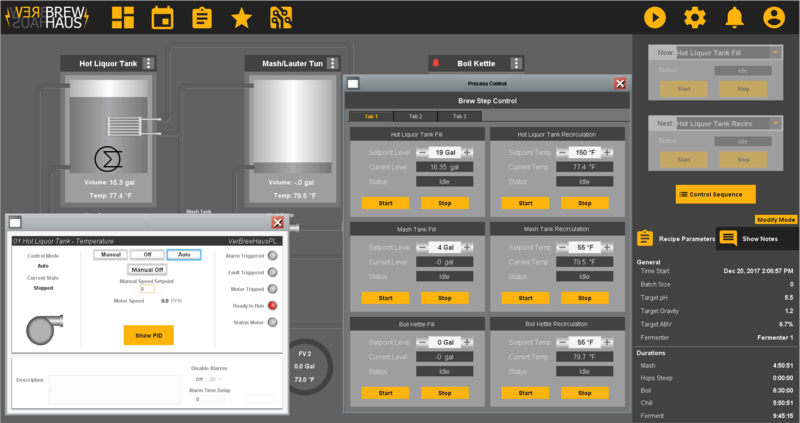 Check out how we help craft breweries with production scheduling, ingredient tracking, recipe management, efficiency and quality monitoring, and much more.